This cigars chocolate brown wrapper and golden Limited Edition band the Escudos looks the part. 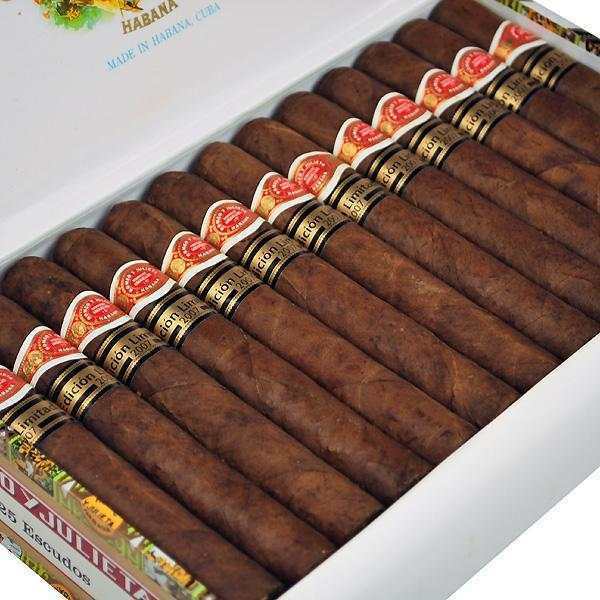 Medium strength and a glorious taste are omens that this young cigar will become a true classic from Havana. 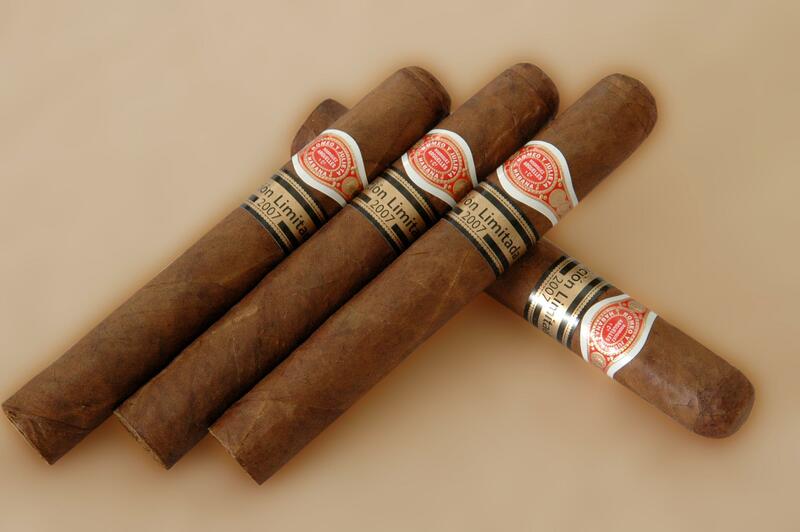 Romeo y Julieta Escudos are only available in the 2007 limited edition. In Spanish, escudo means shield or arms and there is not much information about this cigar. We only know that the tobacco leaves for the wrapper, binder and filler have been aged for at least 2 years. The factory name, gordito, is simply a longer robusto. The wrapper is almost maduro, it is smooth and silky. The pre-light smell is simply intoxicating. Vegetal and spicy notes during the pre-draw. Fully satisfied by the construction – the draw was as good as you can get and I hardly paid any attention to the burn. At the same time, I must say that one was completely plugged. Beware. 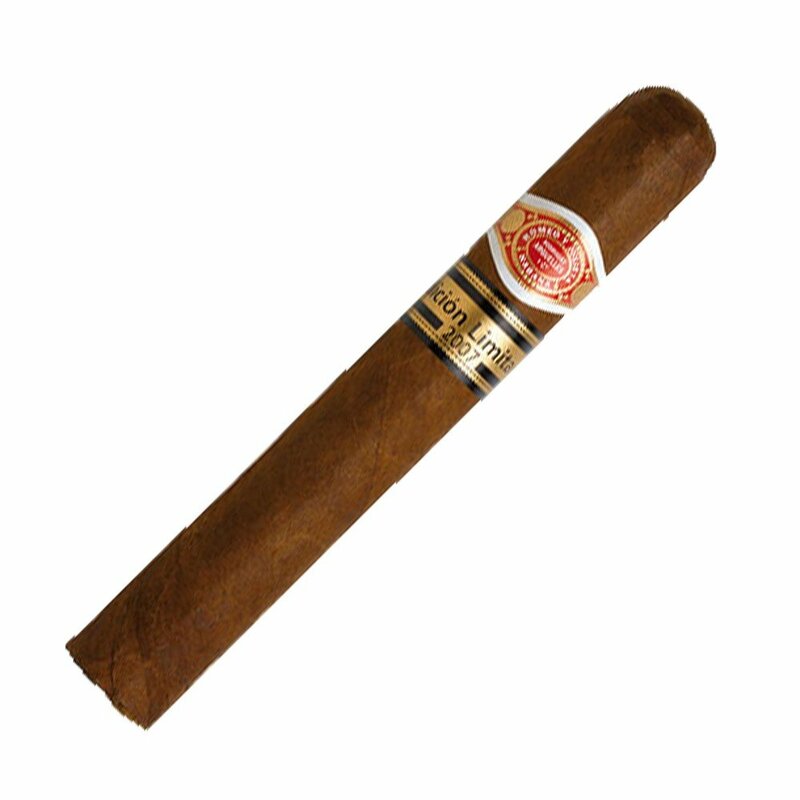 Predictably, the RyJ Escudos LE2007 starts with lovely notes of cedar and green pepper. It doesn’t taste too young; almost 2 years in the humidor were probably enough to let this cigar reach its height.